You can wish different variations and we do our best to realize it. Please be so kind and inform us at least 3 days earlier about the final amount of the diners and their possible diets and food limitations. 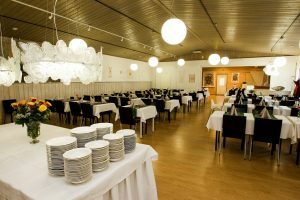 Pavilion, sauna building by the lake, breakfast room in hotel, shelter by the open fire – which is convenient for your group? 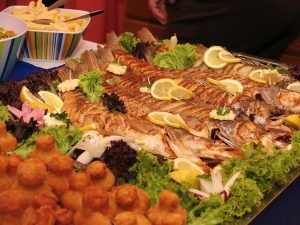 Meals for various occasions – study the menus for meetings, bus groups, sauna bathers and celebrants.